Ok so i have been on a reading spree lately. Sadly to say out of 3 books i only enjoyed one. 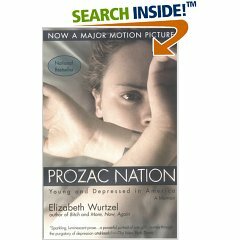 Prozac Nation by Elizabeth Wurtzel was way to depressing, I have depression so i figured i might be able to identify with her in this book but ohhhhhhhhhh no she is way to down for me. I had to pull myself to the end of the book. I would never read it again. 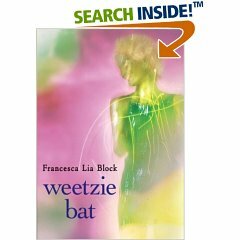 Weetzie Bat by Francesca Lia Block was a good book. I wasnt sure about it but had read it was a cute story in some of my groups. I decided to try it. It was a cute and quick read. I read the whole book in one night. I would recommend this one to anyone who needs a little pick me up after reading some tough books.